Everyone loves guacamole. On a chip, in a burrito … it’s everyone’s favorite side dish. But how about making guacamole the center of your meal, rather than a sidebar? Guacamole is a versatile start to a lot of great meals. With Thai flavoring it is delicious; consider the range of uses to stuff a boiled egg. Your guests will love your creativity. Your creation will become the center of discussion for your meal. Who knew guacamole could excite the taste buds this much? Guacamole is a great compliment to chips, toasted pita, and naan bread. Guacamole is a healthy and tasty vegetarian and grain option, in cooking. 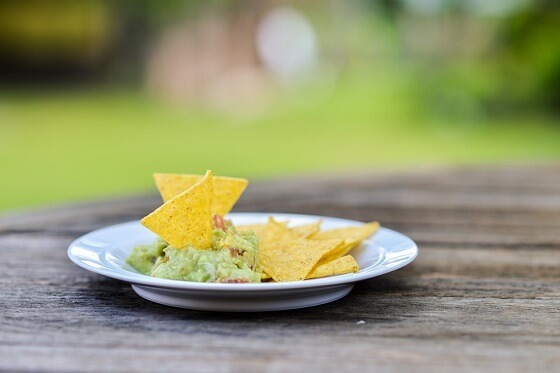 Guacamole can be topped with vegetables, oils, as well as sauteed, dependent on the dish of choice.